If you’ve ever bought a car, you’ll know that as well as liking the car itself, you want to build up a rapport with the staff at the dealership and feel comfortable that they’re offering you a good deal and know the ins and outs of the vehicle. That’s why at David Dexters we focus on customer service right across our business and especially in our busy sales department. Our sales team speak to people like yourself all day, so we have to have confidence in all of them to do a great job! As part of our staff spotlight series focusing on the people behind the company, this month we’re finding out more about sales manager Richard May. 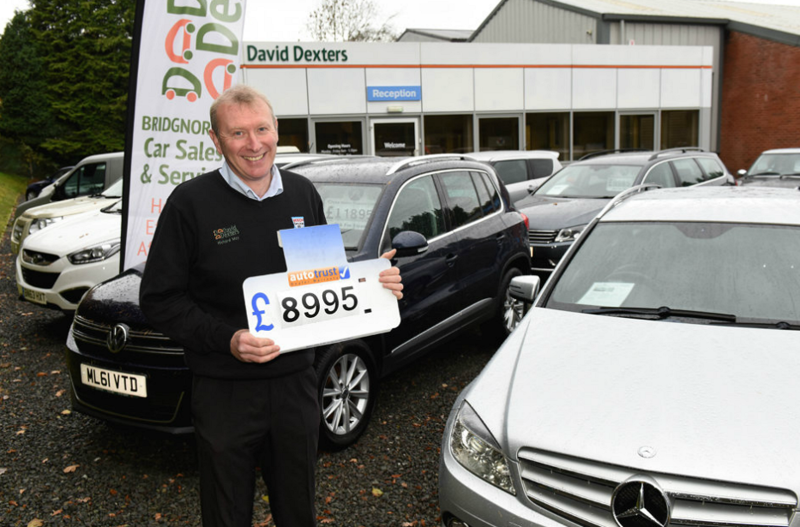 If you’ve purchased a car from David Dexters, you’ll probably have met him as he’s been with the company for five years. He previously worked for a Ford dealership in Bridgnorth for over two decades and, when that closed, began selling cars for us. As well as being at the heart of the action ensuring you drive away in a car that’s right for you, Richard is also responsible for buying in the cars and for the admin and paperwork that goes on behind the scenes. He says: “My day all depends on who comes through the door at what time. “My favourite thing about the job is buying the cars, as if you get that part of it right then it makes the sales part easy. “I like working at David Dexters because it’s a very well organised company and is a family business. Keep an eye out over the coming months for more behind the scenes staff spotlights – or check out our previous blogs on Richie and Darren from the past two months!